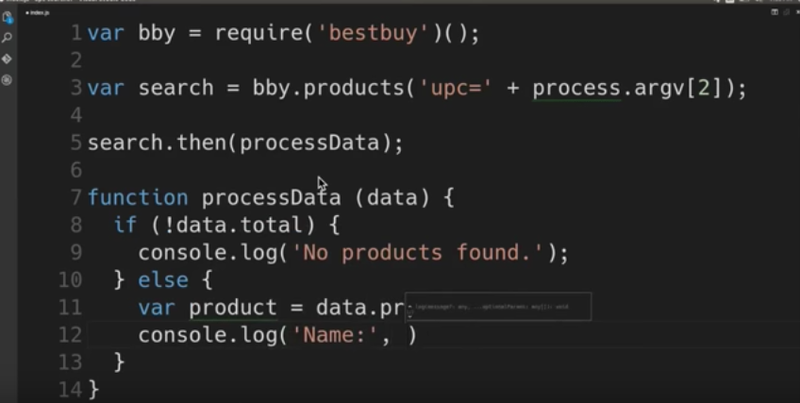 Welcome to our Best Buy API in a Minute series. In this video we’ll walk you through building a UPC searcher using Node.js. If you have any questions, comments or ideas for future tutorials, please drop us a line at developer@bestbuy.com.